Announcement I had a baby!! To celebrate the birth of baby boy I’m offering 50% off all my templates + free installation! All of our templates come with a free installation! Just message us on here or email us after purchase to get it started (expect a reply within 24 hours). I had a baby!! To celebrate the birth of baby boy I’m offering 50% off all my templates + free installation! 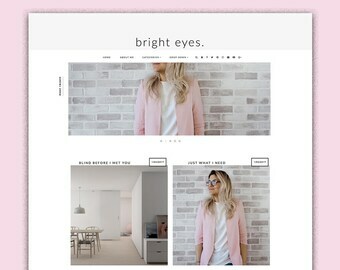 Would most definitely recommend this shop for blogger templates! I asked for help with the installation of the template and she went above and beyond! Thank you so much for a wonderful experience. It came out perfect I really enjoyed this!